How Are After Effects Templates Different From Scripts, Expressions, Assets, Plugins and Presets? After Effects Script: Lines of code that tell After Effects to do something. Typically scripts are used to save motion graphic designers time from doing mundane or repetitive tasks like duplicating layers. After Effects Expression: An expression is a quick snippet of code that will tell After Effects to change the value of a certain parameter. For example, the “wiggle” expression will tell After Effects to wiggle a number value. Expressions are normally used by intermediate to expert After Effects artists. You can get by in After Effects without learning a single expression. After Effects Asset: An asset is simply a file that can be dragged and dropped into your After Effects project. An asset can be video, audio, or image files. Typically video editors will use assets to stylize their footage in After Effects. After Effects Plugin: An After Effects plugin is a third-party plugin that gives After Effects extra functionality beyond what it’s already capable of doing. One popular plugin is Element 3D, which allows users to create and customize 3D objects directly in After Effects. After Effects Preset: A preset is simply a predefined group of effects and keyframes that can be easily applied to layers. 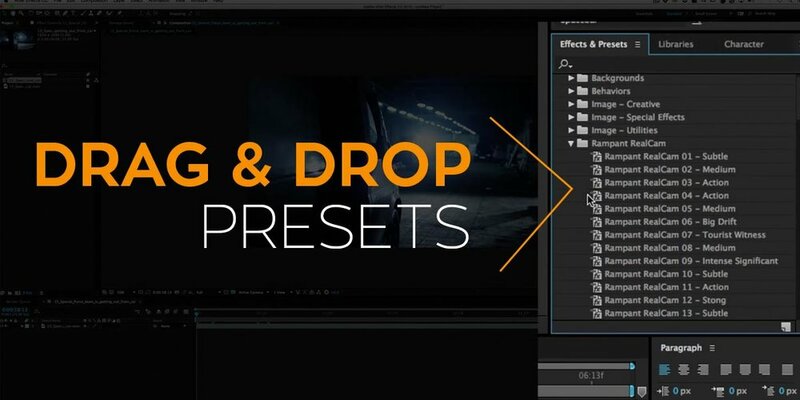 The most common type of presets are text animation presets and color grading presets.